YOU GUYS! 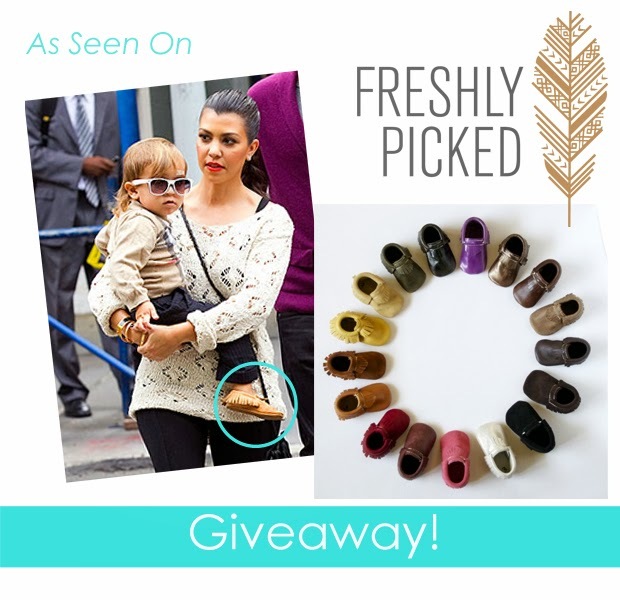 I am so beyond excited to be hosting this giveaway c/o Freshly Picked! I squealed literally for a few days once I found out it was go and they wanted to partner with us so I could give one of you guys ONE pair, ANY color, ANY size! We absolutely love Freshly Picked and have a review coming soon for them! I'm not just saying this when I say they are nothing short of ahhhmazing. So who's Freshly Picked? 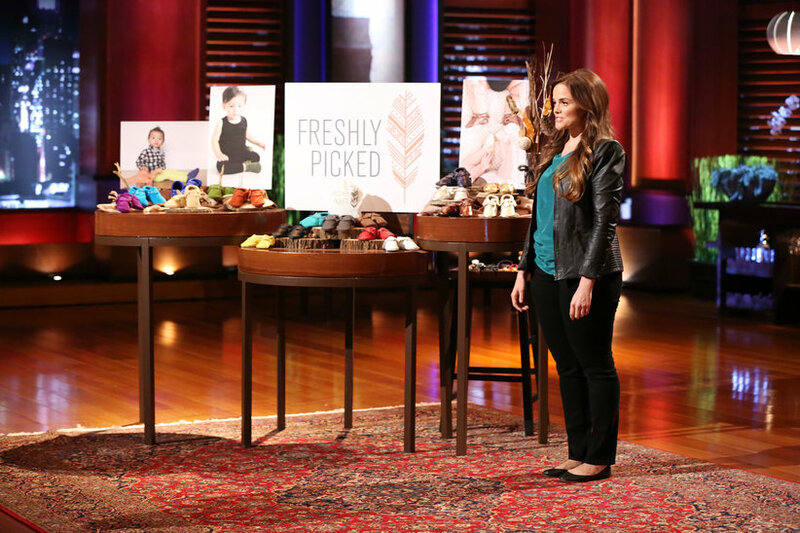 Susan, who is the amazing one behind it all started Freshly Picked in 2009 and you may have recently spotted her on Shark Tank on ABC. All moccassins are 100% Genuine Leather and handmade in the USA. They've been in many many magazines such as People, InTouch and many others. I mean who can resist all these pretties?! Oh, and .. they're extremely addicting! The moccs will be shipped directly from Freshly Picked once the winner is decided at random. This giveaway will run May 1st - May 24th so be sure to come back everyday! All you need to do is comment below on what your favorite color of Freshly Picked Moccs are, and like BABY, daily on Facebook :) EEEK! Now go enter!! I LOVE those pink moccs! :) Freshly Picked is awesome. Thanks for hosting this giveaway! I love the new birch color and the golden rod too! It would be hard to choose which one is my favorite since I love them all! I love the ebony, they look good with anything, great for everyday wearing and wonderful for dressing them up! I love love the gold moccs! Favorite right now is Aruba and chrome is a classic!! It is so hard to choose but I think I would pick Aruba or Golden Rod! we need the camo ones! I love the Aruba ones!! I love the platinum ones. Loving the new raspberry ones! I'm loving the new birch color! My favorite color is the stone suede- perfect for my little boy! They are most definitely addicting! Ooh! I want that neon pink! And the birch would complement everything! I love the rose gold moccs! I love love love the aruba moccasins along with the entire spring collection. So cute! The stone suede is adorable and I would absolutely love to win that! So many fabulous ones to choose from, but I love Coral and Golden Rod!! love love love the weathered brown!